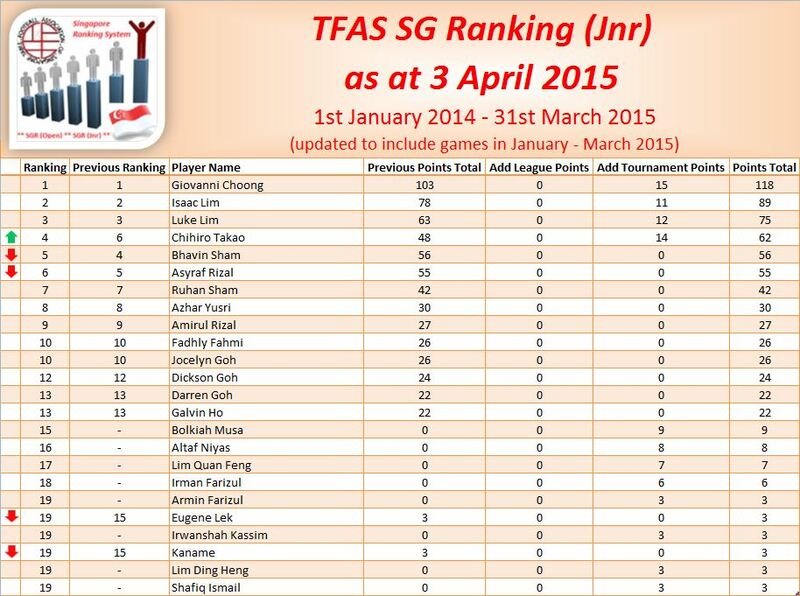 After the first 3 months of local competitions, Den Mulia Yusni rose to the top of the latest SG Rankings!! He took full advantage of Ouabi Rouis’ absence in the March TFAS Cup to emerge victorious (despite conceding his 1st game to a walkover); and displaced Ouabi as the Number 1 ranked player in Singapore!! Congratulations Den Mulia!! At Number 3 is Rudy Hesty Roselan, who nudged Bernard Lim out of the top 3 ranking after winning the Tchaaa4 Cup WASPA and finishing Runners-Up TFAS Cup!! 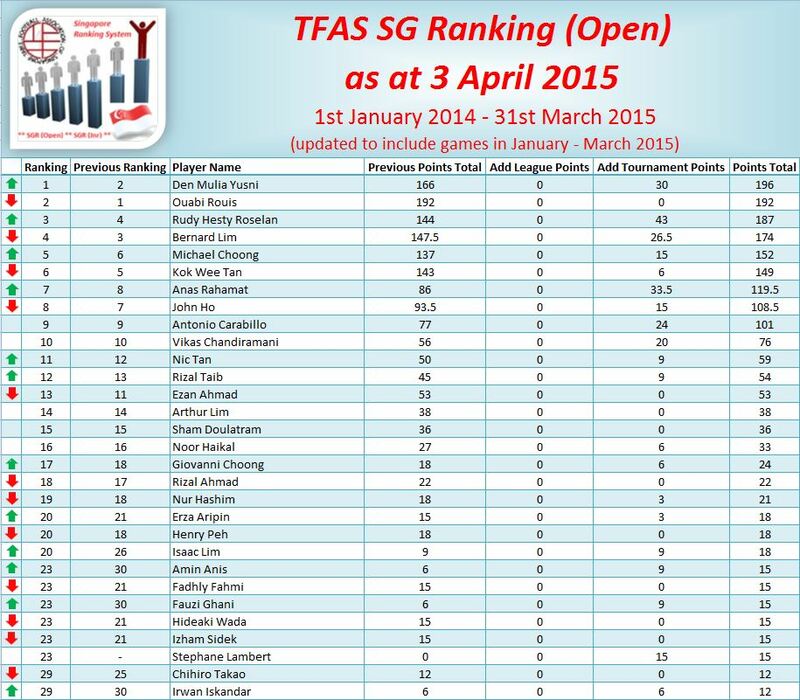 Giovanni Choong remains as the Number 1 ranked Junior player in Singapore with yet another victory at the March TFAS Cup!! Congratulations Giovanni!! Isaac Lim and Luke Lim also maintained their Number 2 and Number 3 rankings respectively with a Fourth and Third place finish respectively in the TFAS Cup. 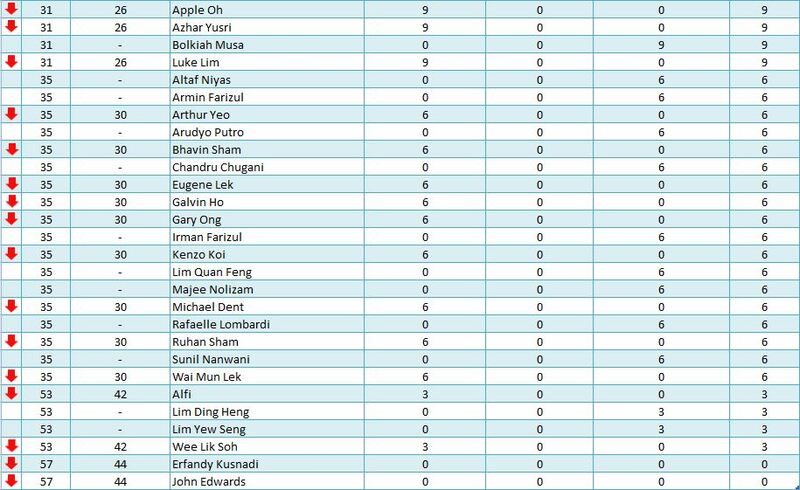 Again, there is no change in the top 3 rankings from the previous release; and these 3 youngsters continue to consolidate themselves as the top 3 Junior players in Singapore. Well done boys! !